The Optimus G2, which we've been waiting for, has been subject to rumor after rumor. A few days ago, we finally heard something official that probably tells us the G2 will have a Snapdragon 800 processor (LG and Qualcomm stopped just short of explicitly naming the device), but tonight we've got something a little more fun. 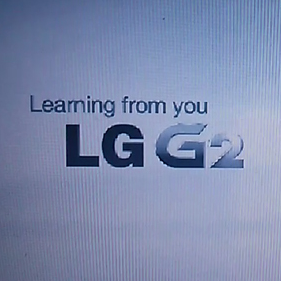 Infamous leaker @EVLeaks has just dropped a series of still images that look to be from a video subtitled "Learning from you." They show the G2 and its rumored back-mounted controls. Until this point, the existence or functionality of the rumored rear controls have gone without concrete evidence, but it looks like the G2 may have rear-facing volume controls, along with a third button that's likely an on/off switch. While the stills are sort of sparse on information, they do show a man interacting with the buttons and taking advantage of the device's front-facing camera. Plus, this probably gives us a pretty good idea of what the device will end up looking like. See for yourself below.